Looking for single-serving protein bites? No need to rely on pre-packaged bars or protein-powder energy balls. Nature already has what you need: eggs. And thank you, chickens of the world, for giving us this versatile superfood. Not only do they bind together delicious baked goods and create all kinds of breakfast dishes (Omelets! Fritattas! Stratas, oh my! ), but they can also be whipped into meringues or creamy condiments. But here’s the issue: It’s super easy to miscalculate the cooking time on boiled eggs. (If only those shells came with a preview window!). And it’s almost tragic to break into an egg hoping the yolk will be appropriately runny, only to find it entirely solid—or vice versa. 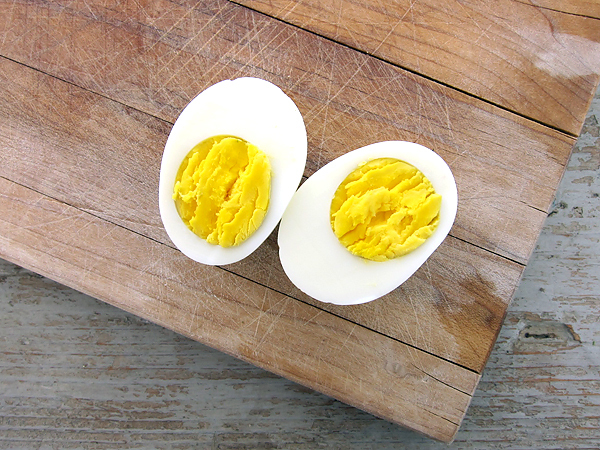 Never fear, we have the ultimate guide to perfectly boiling your eggs every time, every way. Step four: On your mark… Get set… Hit the timer! See below for eggs perfectly boiled to your liking. Post-boil, dunk these suckers in an ice-water bath for a minute. Tap ‘em on the counter to gently crack and peel them open. Voilà! Your perfect egg! Now, eggs are only delicious if they’re fresh. (There’s a reason rotten eggs are the stuff of playground taunts.) 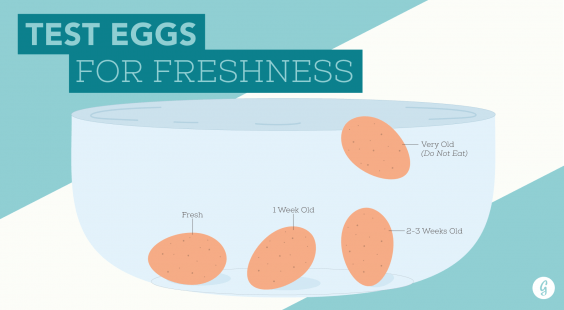 If you’re not sure whether your eggs are ready for eating or past their prime, dunk them in a glass bowl filled with water and compare them to this handy visual. On the bottom of the bowl: 100-percent fresh and at peak flavor. One corner lifted: A week or so old. Entirely edible! Standing on a point: A couple weeks old. Eat stat. Floating at the top: Super old! Do not eat!